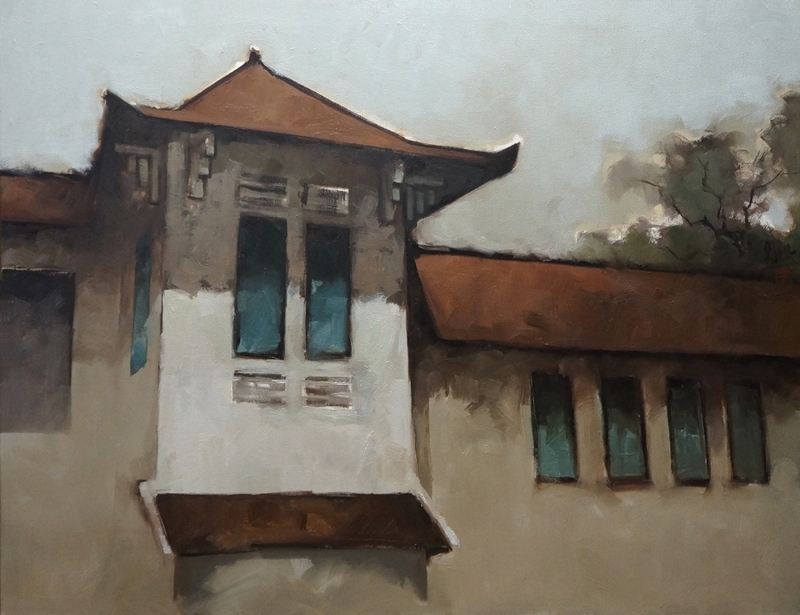 Nguyen Thanh Binh is a world-renowned artist whose iconic work has received international acclaim and frequently been exhibited in Europe, Asia and the US. In preparation for the opening of Hometown, he takes some time off to speak about his latest collection. The paintings of your new collection are different in theme from what you are most famous for (ballerinas, nudes, girls in ao dai). What inspired you to go a different direction? Like all artists, I feel the need to change things up sometimes. If you maintain one style continually it’s just silly self-satisfaction or laziness. I’m not trying to follow any trends, I’m just searching for beauty as I see it; a beauty for everyone. The structure in my paintings tells the viewer many things beyond the surface. The aim in my work is to condense the narrative. I like a minimal subject and a maximum idea just like in a Japanese haiku. Can you tell us about your process for creating the new collection? Did you plan things out or is it a more intuitive process that evolves as you work on each piece? Normally, some whims appear—for example, the desire to draw something different—but do not come to fruition until an occasion like the offer of a solo exhibition. Then the idea becomes a specific intention, including a primary subject matter, materials, sizes and major colors, among other aspects. 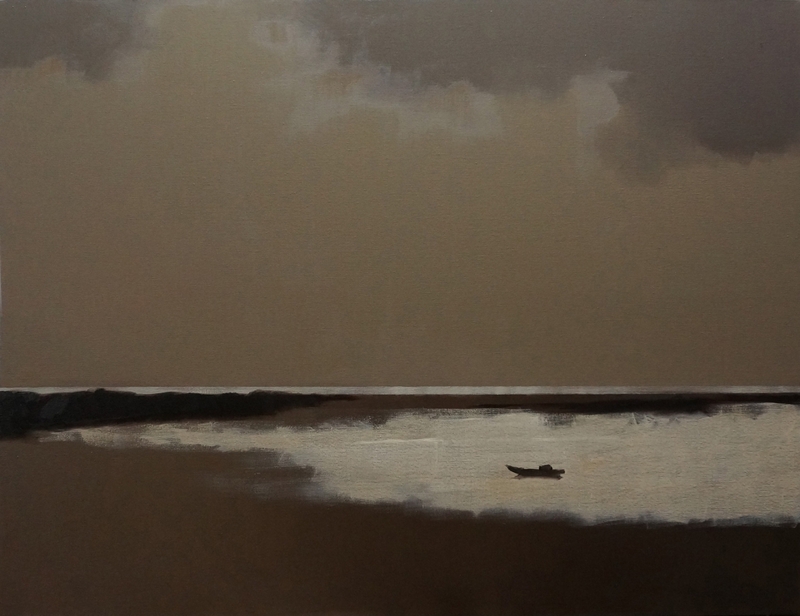 The next painting usually comes from an earlier finished painting, which means it evolved from an existing one. Some people who have seen the paintings have called them sad or melancholy. How do you see them? Actually, I do not see them as sad or melancholy. They are more an expression of my personality: quiet, calm and peaceful. That is the most important factor of creativity: personality! 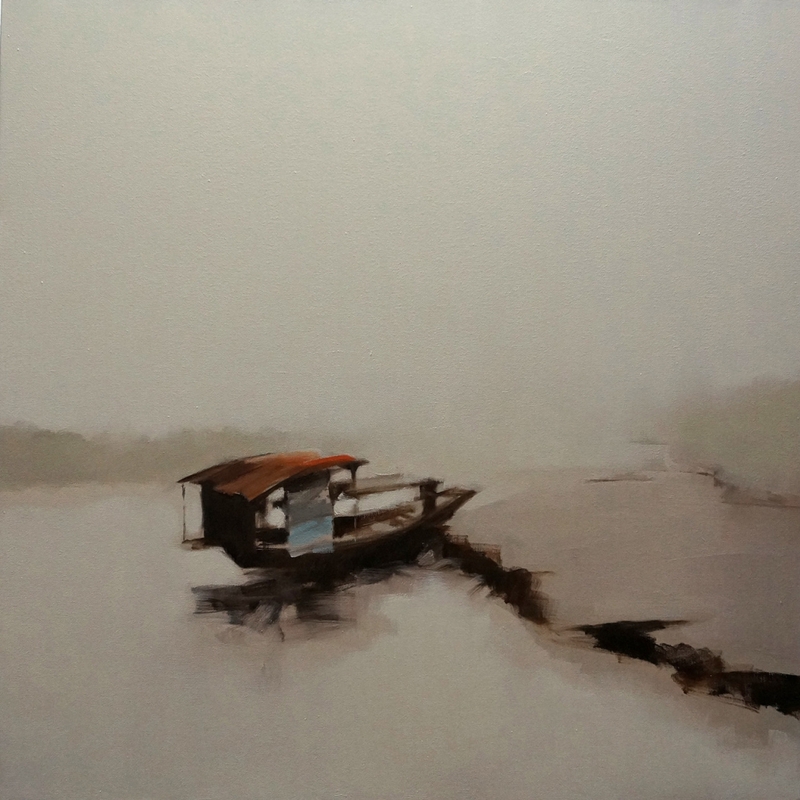 I find your painting of Long Bien Bridge to be both very simple but also beautiful and moving. Can you tell us about that piece and why you chose to paint it like you did? Long Bien Bridge, or Waterfront, and Confluence show not only my creative personality, but also benefit from a style of composition that is both simple and unique. Are there certain artists that have influenced you both in Vietnam and/or abroad? On an artist’s path, they are always influenced by former masters. The famous artist Nguyen Sang, and my friend—female artist Hoang Minh Hang— have influenced me greatly. Certainly, during my student days, I liked Juan Gris, Fernand Leger, and other famous cubist painters. Then, I realized they aren’t my true ‘language.’ However, they still have a very light influence on the structure of space in my paintings. What do you think the artist’s role in society is? Hometown is on display at Craig Thomas Gallery (165 Calmette, D1) until June 22.